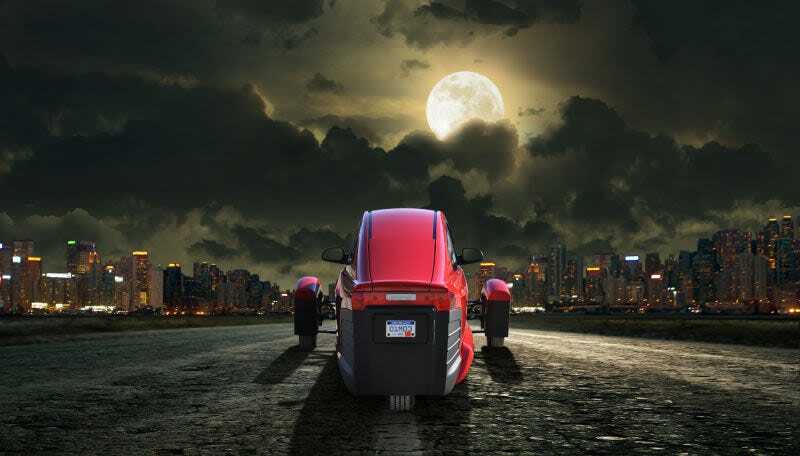 Several months back, word trickled out that Elio Motors’ latest plan to rescue its dream to bring a three-wheeled car to life involved raising funds from the creation of a digital “token” dubbed ElioCoin. Put aside any doubts if that sounds like a dubious proposal because, on Thursday, Elio announced the pre-sale (??) of the ElioCoin Security Token (???). Buckle up. Elio already confirmed the first buyer—Patrick Byrne, founder of Overstock.com, which kicked in $2.5 million for the startup in April and still, remarkably, exists—for the, uh, pre-sale of a digital currency that’ll be used to fund capital costs of production. In total, Elio wants to raise $25 million from the eventual main sale of the ElioCoin. Paul Elio, CEO of Elio Motors, was absolutely exuberant in a statement. A token presale occurs prior to an ICO launch. In a presale, the startup offers up tokens while they are still under development before they are available to the general public. The purpose of the token presale is either to raise funds for further developing the project at its very early stages or to fund the operations that will lead to the ICO launch. As the risks involved when investing in a token presale are much higher, the tokens are (in most cases) offered at a discounted price. This press release does not constitute an offer to sell or the solicitation of an offer to buy the securities, nor shall there be any sale of the securities in any state in which such offer, solicitation or sale would be unlawful prior to the registration or qualification under the securities laws of such state. Any offering of the securities under the re-sale registration statement will only be by means of a prospectus. This is extremely dense legalese plopped down because, had the pre-sale of this token been defined as “an offer to buy securities,” Elio would likely have to abide by regulations set by the Securities and Exchange Commission, notes bitrates.com. The pre-sale, if you’re still with me, runs through Oct. 15, and Elio Motors can extend or terminate the pre-sale at its discretion because this is a pre-sale of digital currency and there’s nothing stopping it from doing so. Once that’s over, the main sale will begin, Elio says, and details of that will be forthcoming once the pre-sale wraps. I offer no official opinion if this is going to work. Godspeed if you want to get involved.